Content: There’s some swearing, including multiple f-bombs. 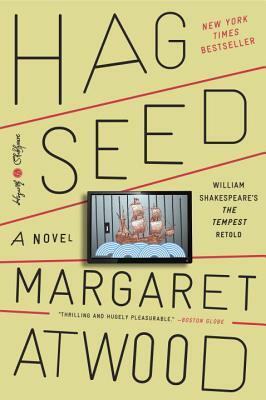 It’s in the adult fiction section, but it has crossover appeal for those who are theater/Shakespeare fans. Felix is the best, most innovative, most desired director around, and he’s on the cusp of Something Great with his interpretation of The Tempest. But, just as he was getting started with that, an unforseen bit of treachery outs Felix from his role. He’s sent off to the wilderness, where he finds, eventually, a job as a theater teacher in a correctional facility. He finds enjoyment teaching the felons (it’s a minimum security prison) the ins and outs of Shakespeare. And then, he learns that those who betrayed him are coming to visit, and he realizes that his Time Has Come; revenge is nigh. Thoroughly enjoyable, especially if you’re interested in a different approach to Shakespeare.